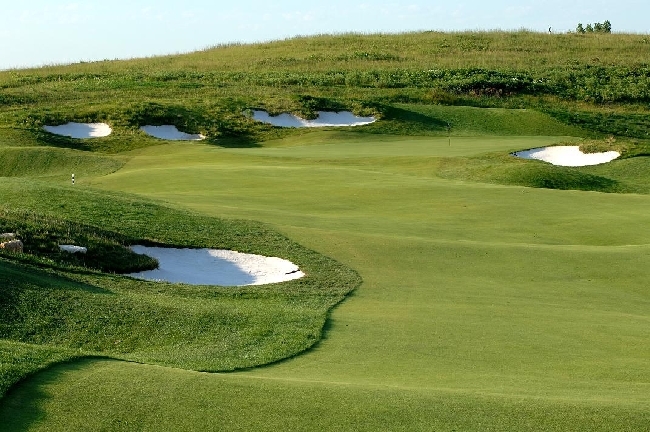 Each July, the APT visits Manhattan KS for the Colbert Charity Classic. Voted as one of the Top 50 Most Difficult golf courses in America by Golf Digest. And the scores reflect to challenge that lies ahead for the pros. The Colbert Charity Classic is scheduled July 18 – 21. The challenge of the course and the $20,000 first place check are certainly a draw for the pros. But making the trip even better is that there are two Web.com qualifiers that bookend the Manhattan event. The Omaha Web qualifier is Monday, July 16th and is just 3 hours north of Manhattan. The Monday after the Colbert Charity Classic is the Springfield MO qualifier, July 23, just 4.5 hours away.